My son still has a little cradle cap - nothing major, but definitely some scaly spots right on top of his head. I bought the California Baby shampoo you recommended. How often should I wash his hair with it & do I need to use a comb or brush too? If so, comb his hair wet? Dry? Cradle cap or seborrheic dermatitis is the infant form of dandruff. 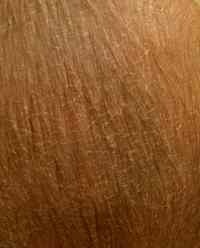 It usually appears in infants as a yellow scaly crust on the scalp, behind the ears, or in the eyebrows. It can be treated with dandruff shampoos or a variety of oils. Baby and olive oil are the most frequently recommended. Massage the oil into your son’s scalp and then remove the oil/cradle cap combo with a fine toothed comb. While the oils are gentle, they are not as effective as dandruff shampoos. During my first 10 years in practice, I primarily recommended dandruff shampoos. Dandruff shampoos like “Head and Shoulders” or “Selsum Blue” work for most cases. These should be used with care and not around the eyes as they can cause irritation. My youngest son has our families worst case of cradle cap. After trying our usual method we found a product called "California Baby". We just were not seeing improvement with repetitive “Head and Shoulder” treatments. The “California Baby” shampoo contains Tea Tree oil and lavender. It smells funny, but has worked well. If you use the “California Baby” cradle cap shampoo or a traditional dandruff shampoo use it during his bath. Overnight you should see some improvement. They usually help for a couple days and then the scaling returns. The frequency of treatment depends of the severity of scaling and the results. While most children can be treated every 3 or 4 days, some cases will require nightly treatments.